Depression, schizophrenia, borderline personality disorder… All are legitimate illnesses. Although psychiatric disorders manifest differently than cancer, they are no less severe. Just as no one would choose to suffer from heart disease or a broken leg, no one would choose to struggle with clinical depression or anorexia. 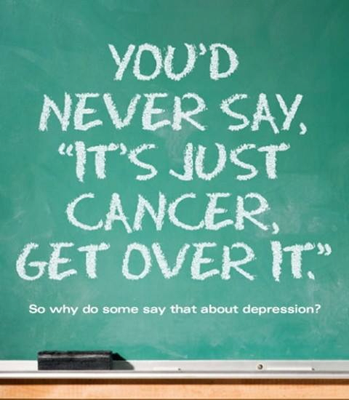 Telling someone to “just get over” their mental illness is hugely invalidating and often makes the person feel much worse. A little sensitivity really does go a long way.